100% Natural, unrefined and containing no additives. Rich in elements and minerals (hence the pink color) with strong nutritional and health properties. 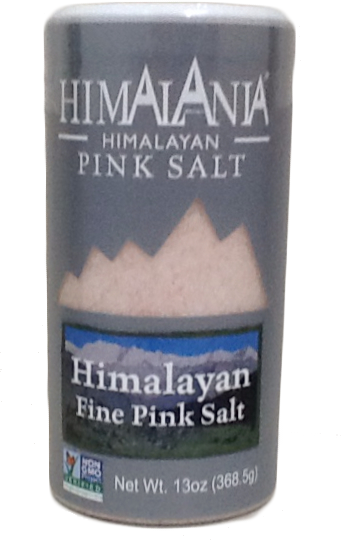 Himalania Fine Pink Salt the perfect blend between easy cooking and incomparable taste, our Himalania Pink Salt shaker will not only enhance any dish but also delight your senses and awaken your taste buds. Coming from the foothills of the himalayas, this pink salt was formed 200 million years ago and to this day still preserves all of its precious purity. Unrefined, 100% natural, withourt any additives, our Himalania Pink Salt is naturally rich in elements and minerals with strong nutritional and health properties that produce its incomparable speckled-pink.